Sharp rise in Arctic temperatures inevitable. 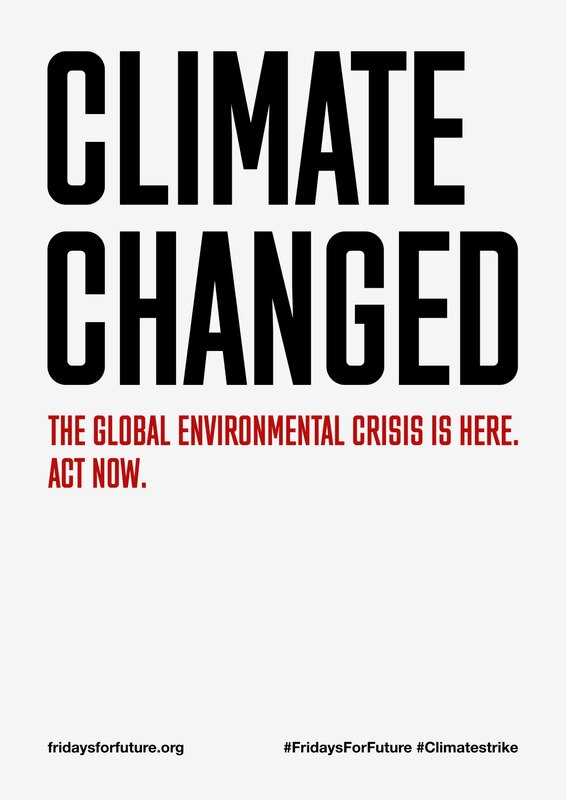 Climate and economic risks ‘threaten 2008-style systemic collapse’. Plummeting insect numbers ‘threaten collapse of nature’. Microplastic pollution revealed ‘absolutely everywhere’ by new research. Just a few of the terrifying headlines in The Guardian, from just the past three months. Headlines that should prompt immediate and significant societal change. Headlines that highlight an immediate emergency. We have a political system that is focused on far shorter term concerns, while ignoring the emergency that is right in front of its face. It is a staggering dereliction of duty. On all our parts. Thank goodness then that the kids, the ones with the most future ahead of them, are calling us out. Taking a stand. Yelling loudly that the emperor is standing there stark bollock naked. 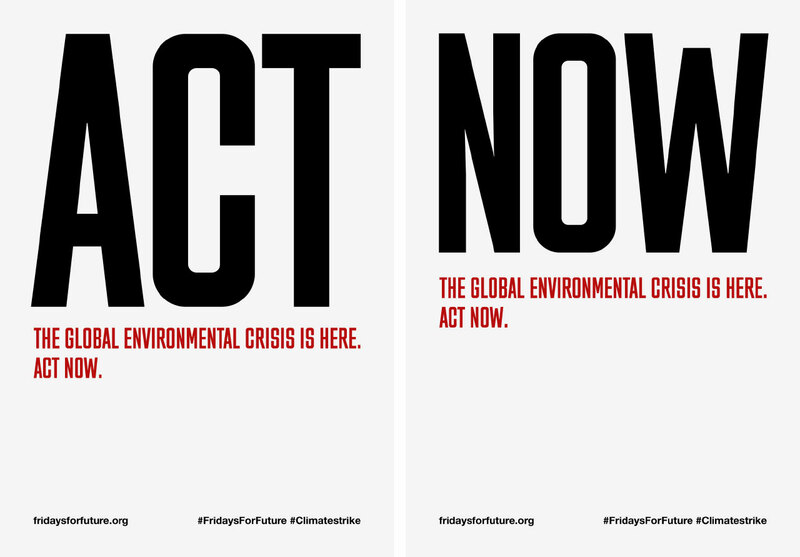 Fridays for Future is the movement initiated by Greta Thunberg – she started her ‘School strike for Climate’ alone, and it has quickly become a global youth movement, with kids around the world going on strike and demanding action. It is fantastically inspiring. 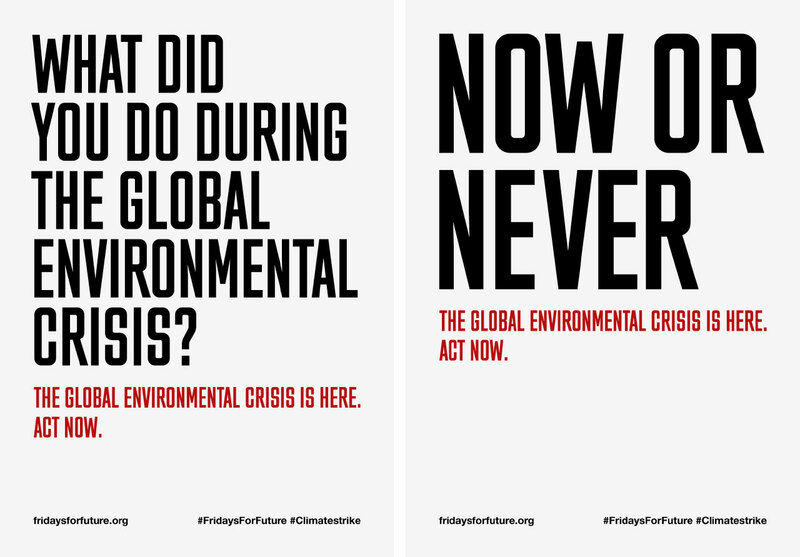 Tomorrow, Friday 15 March, Fridays for Future have organised a ‘Global Climate Strike for Future’ (here’s the London one). University students are already joining the movement. Hopefully this is just the beginning of a massive wave of support, which will see the public’s call for change become insistent, deafening, and impossible to ignore. 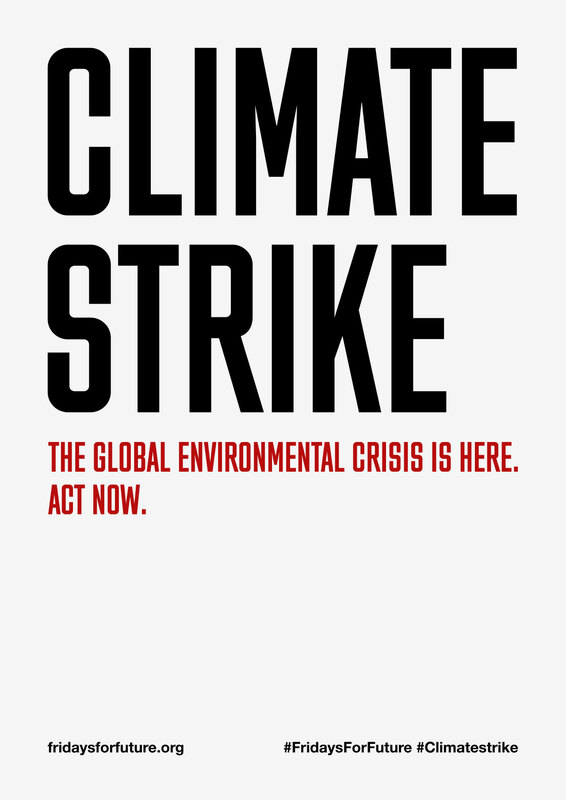 I wanted to do something, anything, to help, so I’ve put together a set of free downloadable Climate Strike posters for the organisation, to use on placards. 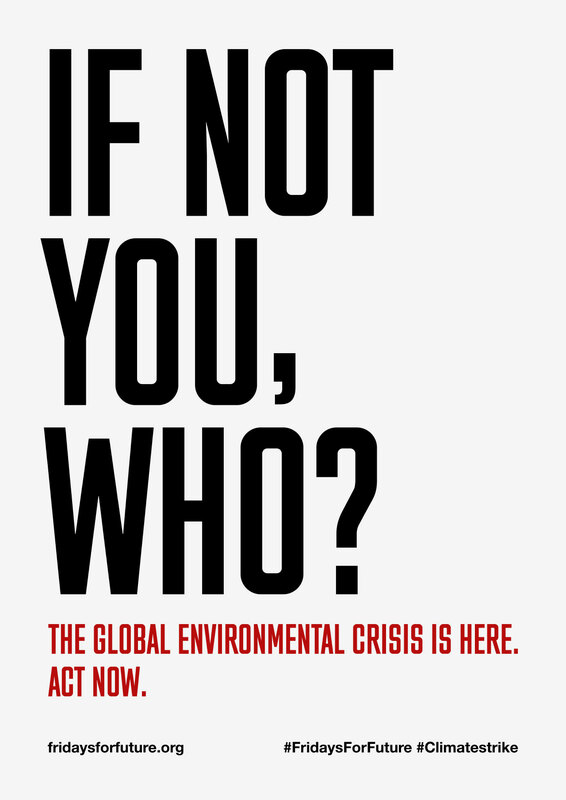 (The wonderful Nick Asbury helped out with some brilliant words, and the typeface is Matt Willey’s fantastic MFred.) They scale up and down to any A size. Go grab them.